Glenda Humiston is named 2018 California Steward Leader by California Forward and the California Stewardship Network. 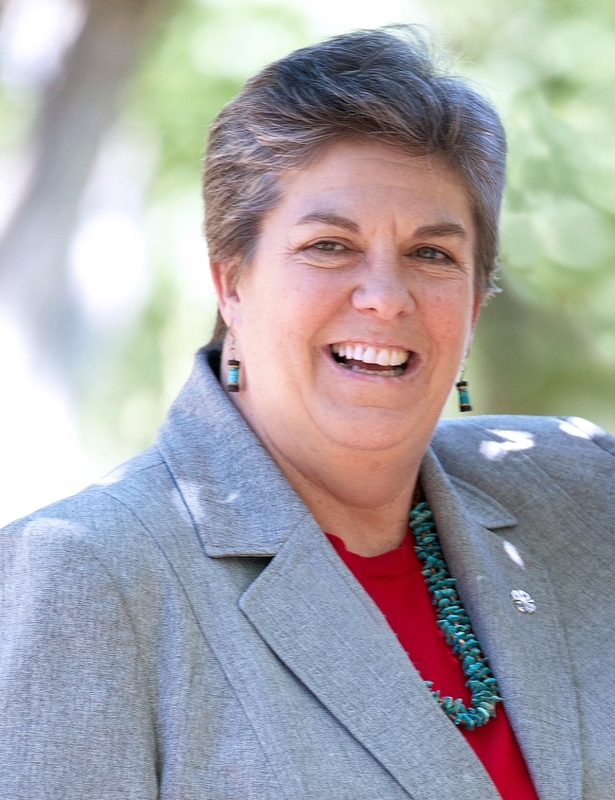 Glenda Humiston has always been involved in rural issues from her days growing up on a cattle ranch to her current efforts to connect rural communities to more resources as University of California vice president for agriculture and natural resources. 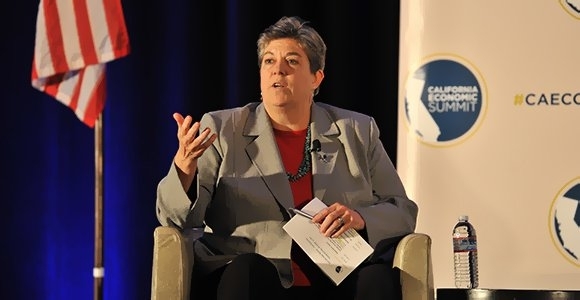 In recognition of her contributions to sustain California as a place to create and thrive and to bestow to future generations, Humiston will be presented the 2018 California Steward Leader Award by California Forward and the California Stewardship Network at the California Economic Summit in Santa Rosa on Nov. 16. She currently serves on the 2018 Economic Summit Steering Committee and is the Action Team co-lead for Working Landscapes and co-chair of Elevate Rural California. For Elevate Rural California, Humiston is focusing on biomass, rural broadband and water infrastructure. She has been involved with the California Economic Summit from the beginning, chairing the Access to Capital Action Team at the first Summit in 2012. To raise awareness of innovative options for financing projects, she founded and chaired the California Financial Opportunities Roundtable and was instrumental in producing the Access to Capital Guidebook, a widely used resource for small business owners, policymakers and financial institutions. Humiston served as deputy undersecretary for natural resources and environment at USDA from 1998 to 2001 under President Clinton. She then managed the Sustainable Development Institute at the 2002 World Summit for Sustainable Development in South Africa and the 2006 World Water Forum in Mexico City. In 2009, Humiston was appointed by President Obama to serve as the California State Director at the United States Department of Agriculture (USDA), Rural Development. 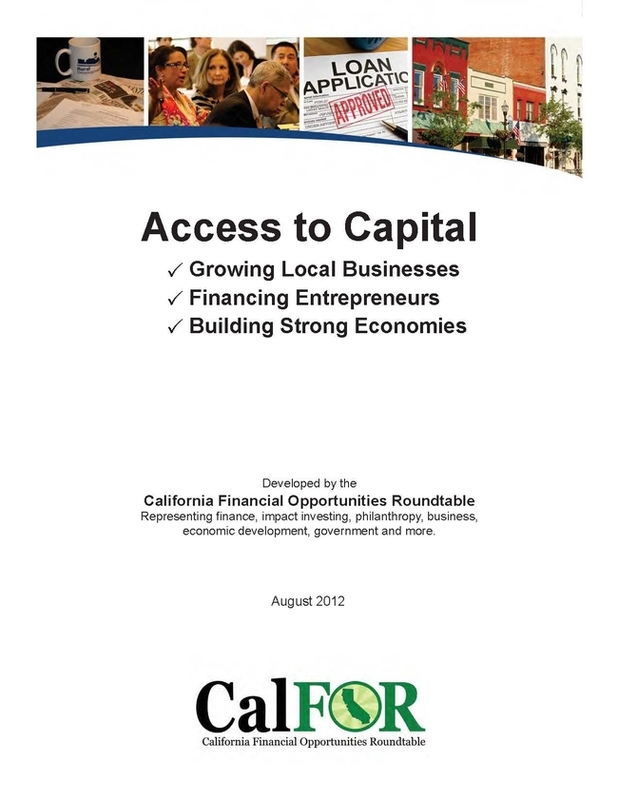 The Access to Capital guide provides innovative options for financing projects for small business owners, policymakers and financial institutions. Her work on rural issues continues. 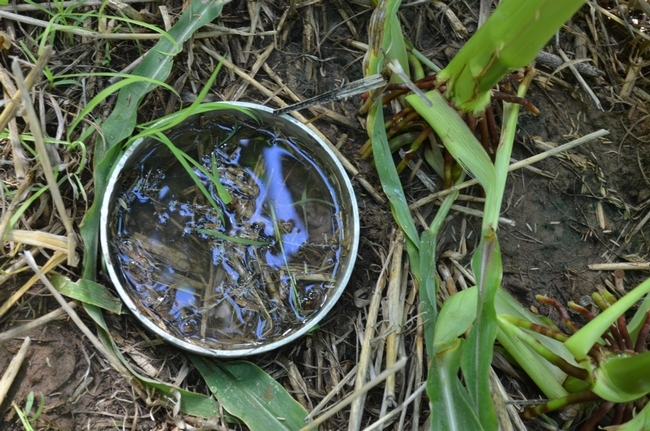 “Our Ecosystems Services Team has done a fantastic job in highlighting the opportunities for ecosystem services to be a powerful policy instrument as well as a compensation instrument for landowners to ensure that the many benefits from ecosystem services are available to the general public,” Humiston said. She added that recommendations from last year's Summit may be included in upcoming legislation. To support these initiatives, Humiston is working to enhance economic development efforts throughout the state by ensuring that the research and resources of the University of California are delivered to every single community in the state. UC Cooperative Extension is in 70 communities and serves all 58 counties; its mission is to conduct research and extend knowledge that supports food security, healthy environments, science literacy, youth development and economic success in a global economy. As for the award, Humiston is humbled. “It's quite heart-warming to be selected by people I respect for something like that and certainly to be in the company of people who have won it in past years,” she said. 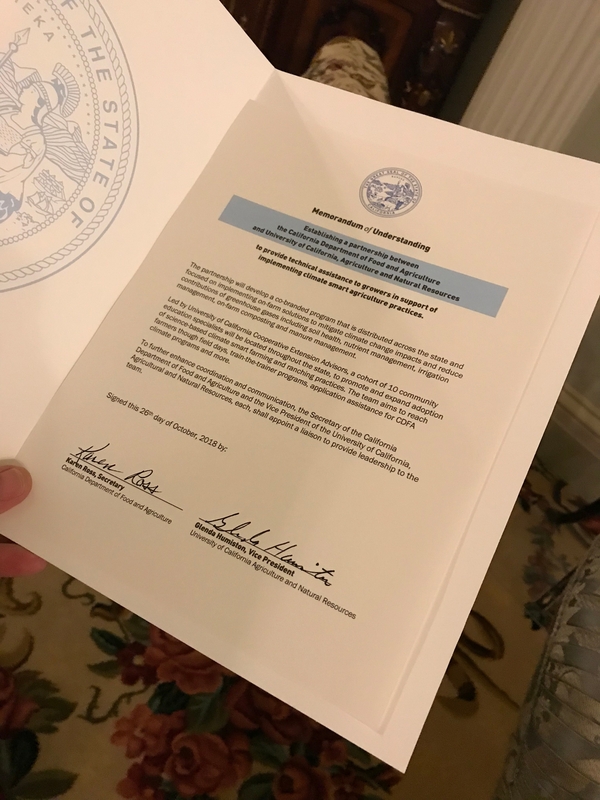 Previous recipients of the California Steward Leader Award include former California State Senator Becky Morgan, California Emerging Technology Fund's Sunne McPeak and Van Ton-Quinlivan, vice chancellor of the California Community Colleges. 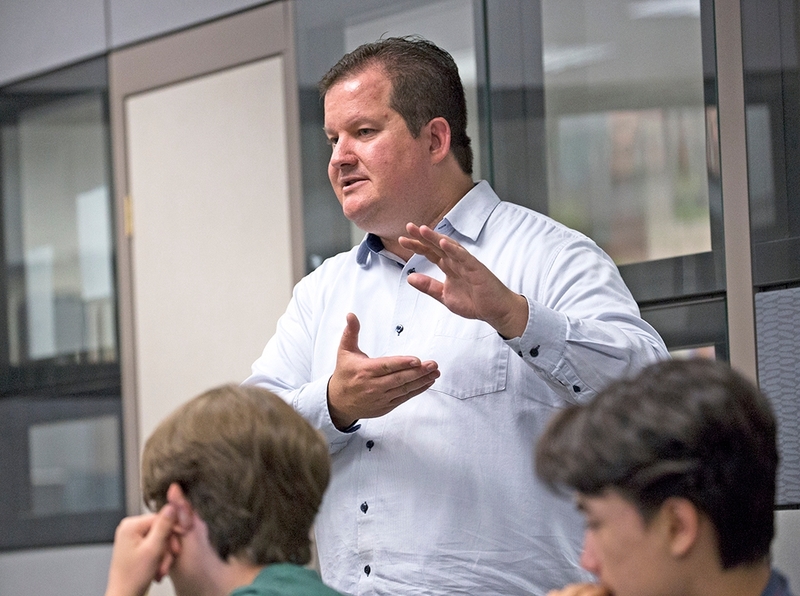 Humiston will receive the award on Friday, Nov. 16, at the annual gathering of the California Economic Summit in Santa Rosa. 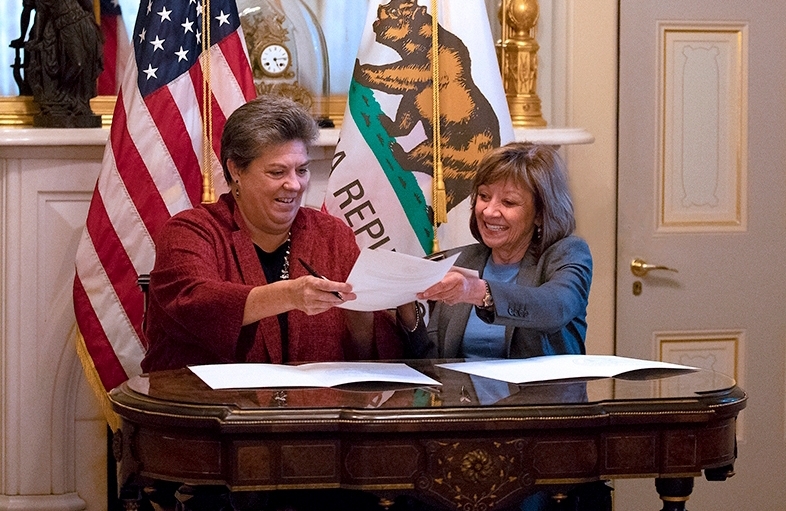 UC ANR vice president Glenda Humiston (left), and California Secretary of Agriculture Karen Ross sign a memorandum of understanding to initiate the new partnership to advance climate-smart agriculture. 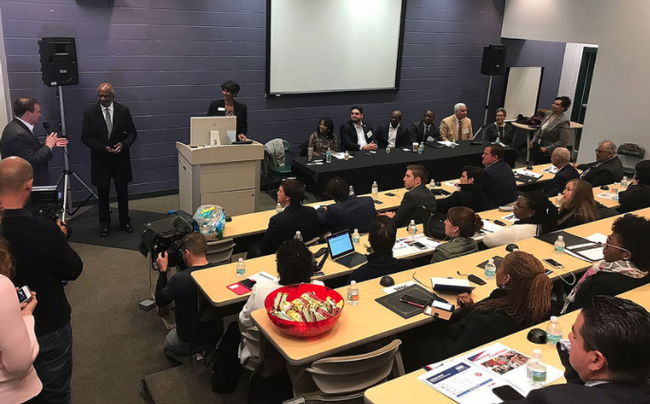 Representatives from North, Central and South America met in Florida for the 8th Americas Competitiveness Exchange on Innovation and Entrepreneurship in December 2017. The tenth Americas Competitiveness Exchange on Innovation and Entrepreneurship (ACE) will be held for the first time in Northern California in October. To promote partnerships, the exchange will bring economic and political leaders from across the Americas and beyond to visit Northern California's world-class innovation and entrepreneurship ecosystems, and to experience the best California has to offer in food, wine and local products. 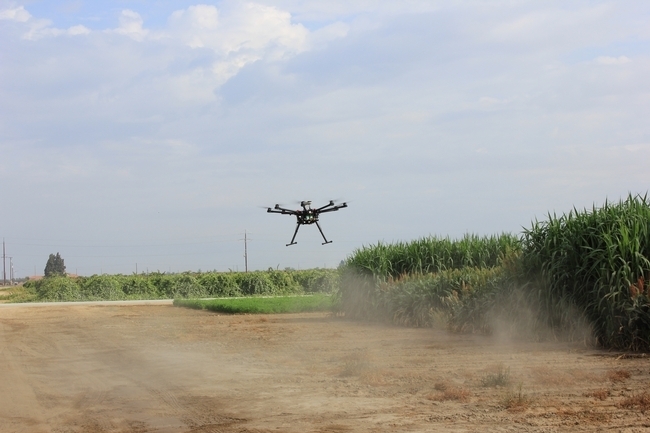 The milestone “ACE 10” is sponsored by the University of California Agriculture and Natural Resources, Central Valley AgPlus and other California partners. From Oct. 21 to 27, approximately 50 high-level economic and political leaders from across the Americas, selected through a competitive application process, will participate in ACE 10, which will highlight innovation and entrepreneurial activity. The ACE 10 program will start in San Francisco at UCSF's renowned biotech research center and start-up incubator in Mission Bay, followed by a visit to NASA Ames Research Center. The tour includes stops in Santa Cruz, Monterey, Salinas, Fresno, and Davis, and will conclude in Sacramento. Site visits will focus on food and agriculture, water and energy technologies, life and environmental sciences and advances in manufacturing. The agenda is designed to provide the delegates opportunities for interactive learning, sharing of best practices, networking and partnership development as they travel from the coast to the inland areas of the state. “During the tours, our visitors will discover opportunities and create new collaborations that will continue to flourish long after they return to their home countries,” Humiston said. ACE toured the Arizona-Southern California corridor in 2016. The most recent exchange, ACE 8, was held in Florida in December 2017. ACE 9 will be held in Israel and Germany this June where the baton will be passed to Humiston to take lead on ACE 10. Valley Vision—a civic leadership organization headquartered in Sacramento that is committed to building a prosperous and sustainable future—is a co-host for ACE 10, along with UC ANR. The Northern California leadership team also includes California State University, Fresno and California State University, Chico; the cities of Davis, Fresno, Sacramento, Salinas, San Francisco and Santa Cruz; Bay Area Metro and Monterey County. The successful bid to host ACE 10 is an outgrowth of the Central Valley AgPlus food and beverage manufacturing consortium. The principal ACE convening institutions are the U.S. Department of Commerce, through the International Trade Administration (ITA) and the Economic Development Administration (EDA); the U.S. Department of State; the Government of Argentina;and the Organization of American States (OAS) as the Technical Secretariat for the Inter-American Competitiveness Network (RIAC). ACE is a core component of the Work Plan of the Inter-American Competitiveness Network. • An industrial internship program between Canada and Mexico through Mitacs, a Canadian not-for-profit research and training organization, and Mexico's National Council of Science and Technology (CONACYT). Blue River flies a drone over sorghum research plots at the Kearney REC to collect data on plant height, leaf area and biomass. From left, John Selep with Olivier Jerphagnon and Kevin Langham of Powwow Energy, which uses electric utility smartmeters to help growers measure irrigation water use, with no hardware installation necessary. 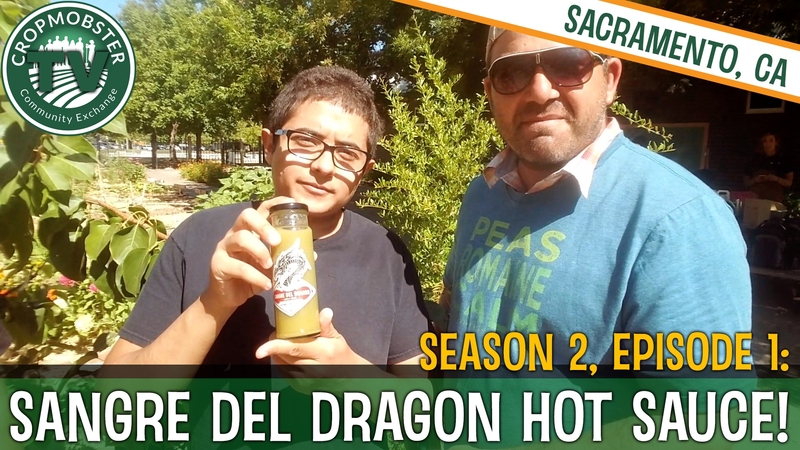 Sacramento high school students from the Edible Sac High school garden program discuss their start-up Sangre del Dragón Hot Sauce company on CropMobster TV. CropMobster TV's Season 2 takes viewers on a journey throug every county of California, meeting food and ag leaders and seeing how they carve out their livelihoods while feeding their communities. Most consumers' first encounter with their food is in a grocery store or on a plate served in a restaurant, and they give little thought to how the food got there. Former Sonoma County farmer Nick Papadopoulos is "Nicky Bobby," host of CropMobster TV. To learn what goes on before food becomes a meal, CropMobster's Nick “Nicky Bobby” Papadopoulos is meeting with folks around California who are responsible for growing, processing and delivering fruits, nuts, vegetables, meat and other foods. Using a low-tech approach to video with a mobile phone and selfie stick attached to a gutter washer, Nicky Bobby interviews people about their roles in our food system. 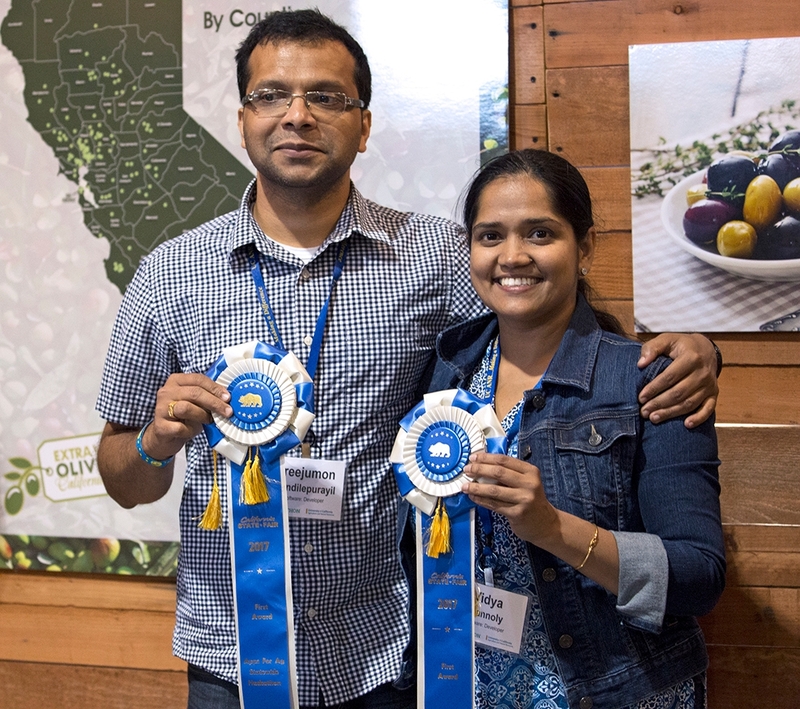 As a sponsor of CropMobster TV Season 2, UC Agriculture and Natural Resources is pleased to help introduce some of the Californians who toil behind the scenes to provide consumers the delicious and nutritious food we eat. 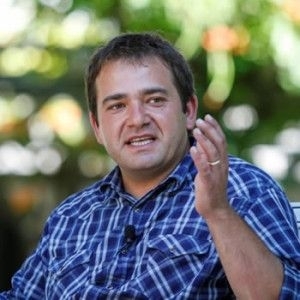 Nicky Bobby chats with farmers, people at nonprofit organizations that work to reduce food waste and hunger, scientists, land managers who steward our natural resources and business owners. “Everybody's into food, but all too often people don't make the connection between food and agriculture,” said Glenda Humiston, University of California vice president for agriculture and natural resources. “When you talk about agriculture, people think of two jobs – farmer and farmworker. There are thousands of jobs in the agricultural ecosystem. 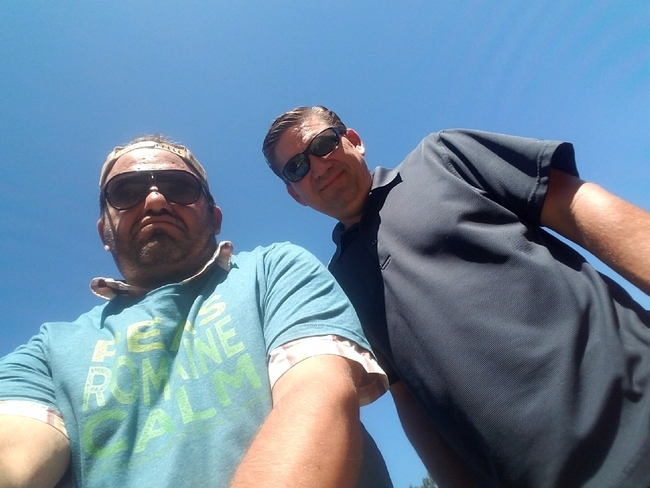 Nicky Bobby, left, stopped in Jackson to talk with Scott Oneto, UC Cooperative Extension director and farm advisor, about farming in the Central Sierra. CropMobster TV is a nonprofit storytelling and video project by CropMobster in collaboration with Food Tank and many other individual and organizational supporters to highlight the crucial work of everyday heroes working to feed their communities. Nicky Bobby attempts to ride Ginger, a horse from Rockney Farms in El Dorado County, then interviews Sacramento high school students at the Alice Waters-inspired Edible Sac High school garden program about their start-up: Sangre del Dragón Hot Sauce company. 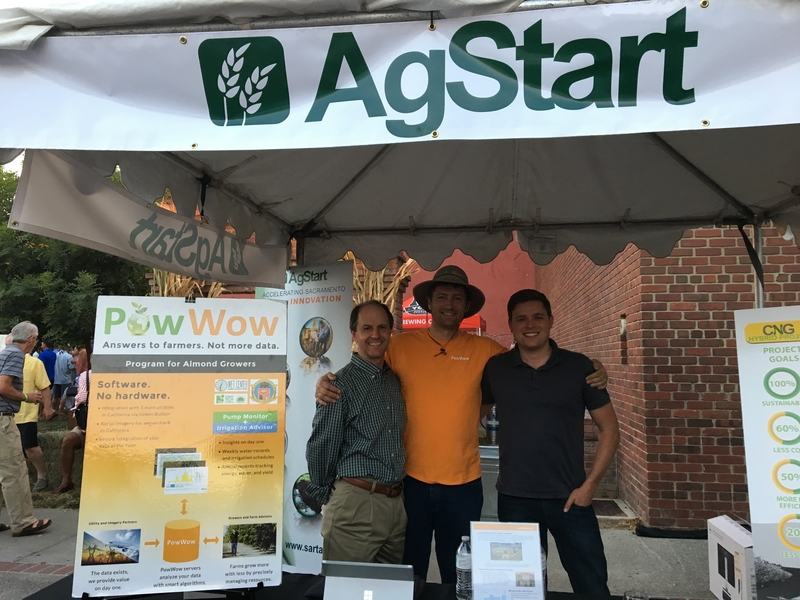 CropMobster partners with bold community leaders to grow high-impact local food networks and community sharing exchanges. The goals are to spark local food economies, engage communities to reduce food waste, support hunger relief and food security efforts and to facilitate sharing of resources.